© Alexei Nikolsky/press service of the Russian President/TASS MOSCOW, April 14. /TASS/. 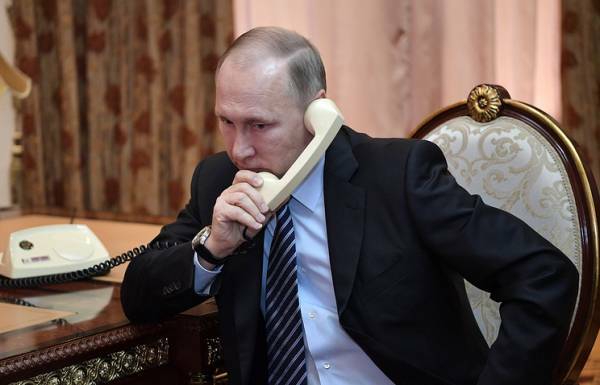 Russian President Vladimir Putin during a telephone conversation with President of Turkey Recep Tayyip Erdogan stressed that the actions of the US and its allies in Syria violate the UN Charter and principles of international law. As reports on Saturday a press-service of the Kremlin, the leaders of the two countries consider it necessary to intensify bilateral cooperation to promote the process of political settlement in Syria. MOSCOW, April 14. /TASS/. 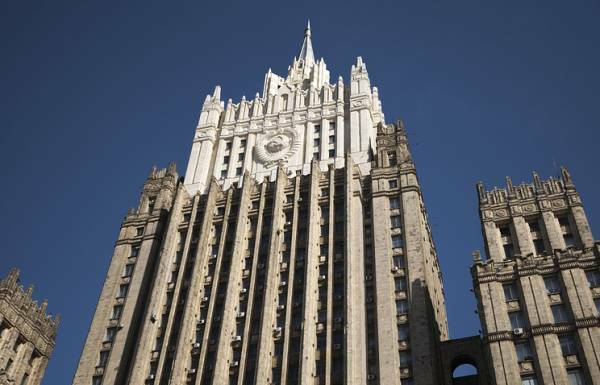 The rejection by the UN Security Council of the Russian draft resolution on Syria was expected, since three permanent members of the UN security Council – the US, Britain and France – have veto power and are able to put pressure on its allies. 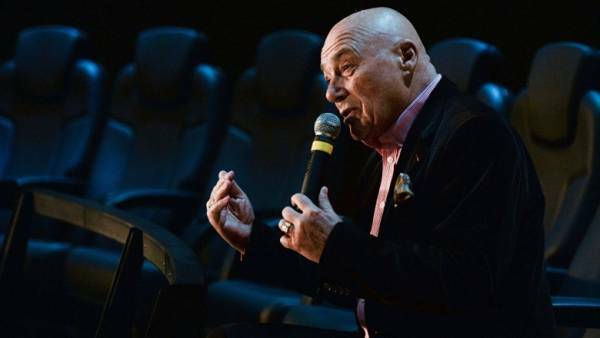 This opinion was expressed by TASS on Saturday, the head of the Centre for public relations and mass media of the Russian Institute for strategic studies (RISS) Igor Pshenichnikov. 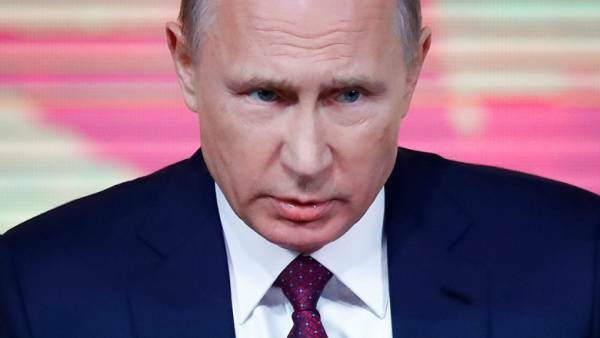 Putin demanded to punish him for impeding the doctors actions Russian President Vladimir Putin instructed the government to develop measures to prosecute people who interfere with the doctors. This was reported on the Kremlin website. At this step, the President went after a meeting with health workers, which took place on 16 March 2018. In addition, Putin has instructed to organize in medical universities training programs “Medical speech” and “Neuropsychology”; to prepare proposals on the equipping of children’s hospitals, medical equipment, repair, reconstruction and construction of new hospitals; to organize propaganda on the necessity of vaccination of all population groups. December 7, 2017 in Ufa died the man that paramedics could not get from a drunk neighbor. In the summer of 2017 in the state Duma proposed to introduce criminal liability against drivers not missed the ambulance, if it led to adverse patient consequences. Pentagon: al-Assad is not included in the list of targets of a missile strike on Syria WASHINGTON, April 14. /TASS/. 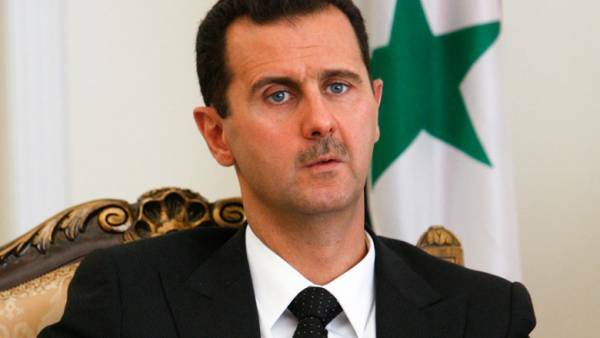 Syrian President Bashar al-Assad is not included in the list of the purposes for which the armed forces of the United States, Britain and France launched missiles. This was reported to urgently convene at the Pentagon press briefing us Secretary of defense James Mattis. He answered a direct question about how did the Western forces to destroy the current operations of the Assad regime, targets were selected solely in order to “weaken the ability of the Syrian military machine to create chemical weapons”. “At present, no attempt was made to expand the list of targets,” — said the head of the us military. © Roman Canasuc/TASS MOSCOW, April 14. /TASS/. Blow the US, UK and France on Syria says that they want to give extremists the opportunity to restore their ranks. This is stated in a statement on Saturday the statement of the foreign Ministry. Permanent representative to the UN, Vasily Nebenzia © AP Photo/Mary Altaffer UN, April 14. /TASS/. 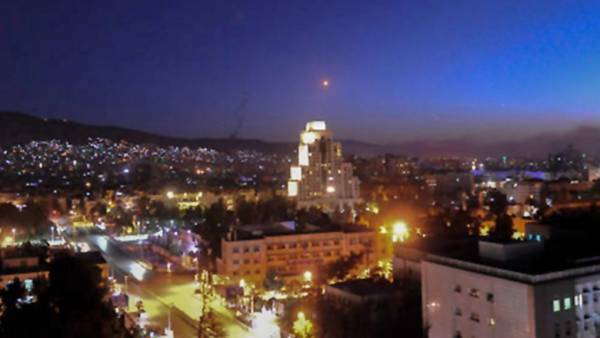 Russia introduced a Security Council (SC) of the UN draft resolution condemning the attack on the United States and allies in Syria and demanding from them to immediately stop the aggression against this country. 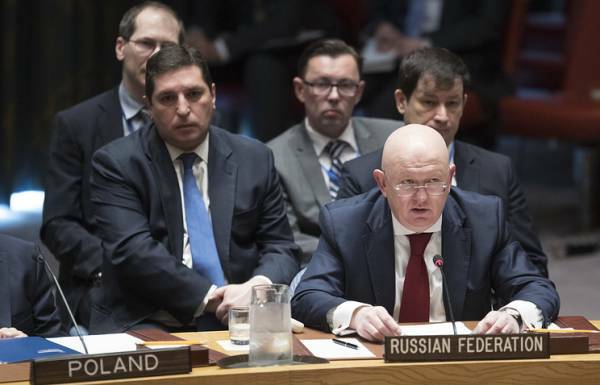 As reported, Russia’s permanent representative to the UN, Vasily Nebenzia, the document “is on the table” and ready to vote.